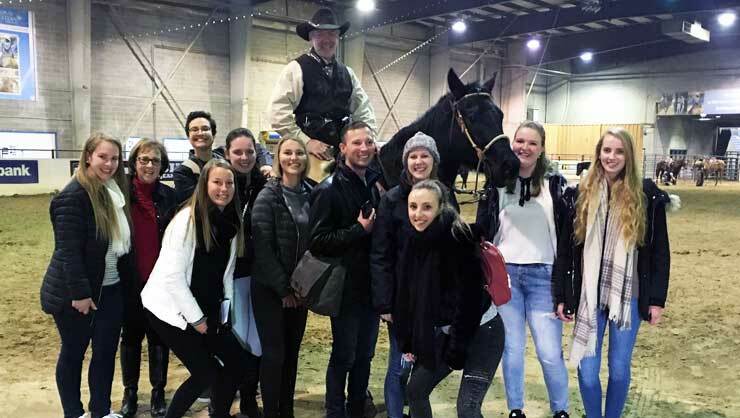 Denver area au pairs loved seeing the rodeo. 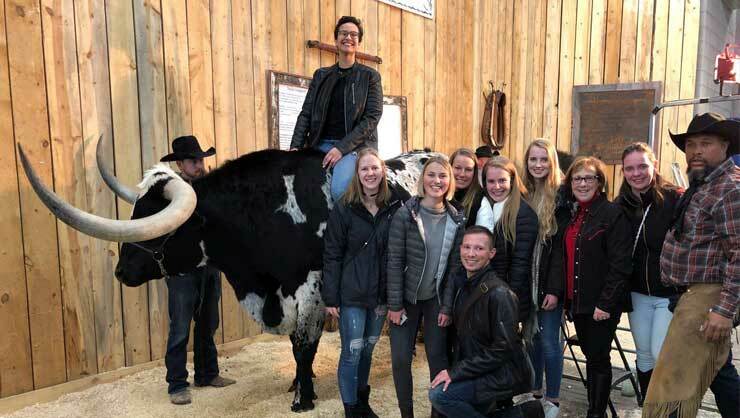 Americans and cowboys are synonymous the world over, and our Denver and Boulder area au pairs got to experience that firsthand when they visited the National Western Stock Show and Rodeo with their Local Coordinators Paula and Stephanie. The au pairs attended one of the best rodeos in the nation. In fact, the National Western Stock Show and Rodeo is a nationally recognized western heritage and entertainment event. It has been held for 16 days every January since 1906! Denver Local Coordinator Paula told us about the fun day out. I love sharing events like the rodeo with the au pairs. This is such an American and Colorado experience- they see cowboy movies in their home countries and think of America that way! We attended the National Western Stock Show and Rodeo. This is a yearly tradition in Denver and is the premier livestock, rodeo, and horse show in the nation. The main event we attended was the Colorado vs. the World rodeo where we saw cowboys compete on bucking broncos and bulls, cowgirls barrel racing on horses, and children compete on sheep, known as mutton busting. We even saw cowgirls do trick riding on horses, an extravaganza during the singing of the National Anthem, and Clydesdale horses pulling an old stagecoach. It was quite the spectacular. The au pairs met genuine cowboys! Afterward, we walked through the trade show, then explored the area where cows and horses were being groomed for show and sale. The au pairs took pictures with a huge bull and an American cowboy! I loved looking down the row during the rodeo at numerous points and seeing every single au pair taking videos of what they were watching. They loved the rodeo! One of the au pairs turned to me and said, "This is so American!" 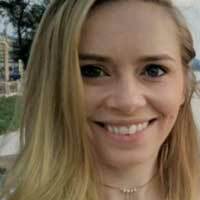 Thank you to our Local Coordinators and our host families, for giving our au pairs cultural experiences that they’ll never forget. Check out a video from the adventure below.